Breakthroughs in and the exponential pace of disruptive innovation are fundamentally changing the way we live, interact, and do business. In response, companies are looking to digital transformation as the key to innovation, growth, and the discovery and creation of new business opportunities. So while the “why” of digital transformation may seem obvious, it’s the “how” that isn’t always as clear. That’s where Ray Wang comes in, Principal Analyst, Founder, and Chairman of Constellation Research, and author of the best-selling book, Disrupting Digital Business. 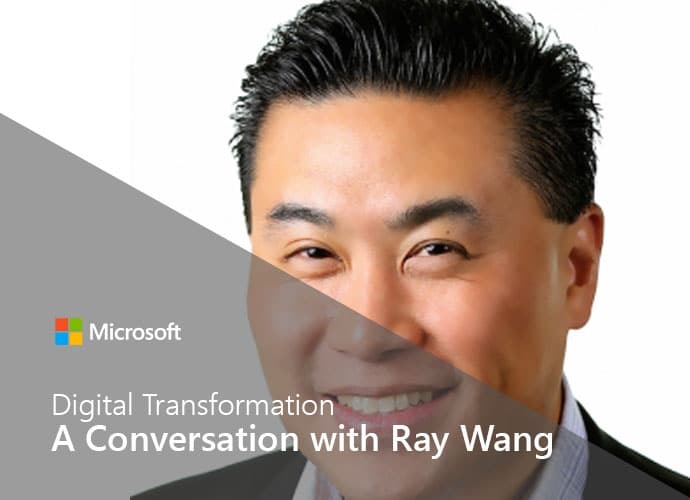 Microsoft sat down with Wang to get his insights on the impact of digital transformation on business processes and the keys to successfully navigating digital transformation.